Discover a growing selection of general education links for elementary and middle school students. Use our contact form to suggest sites not currently listed. 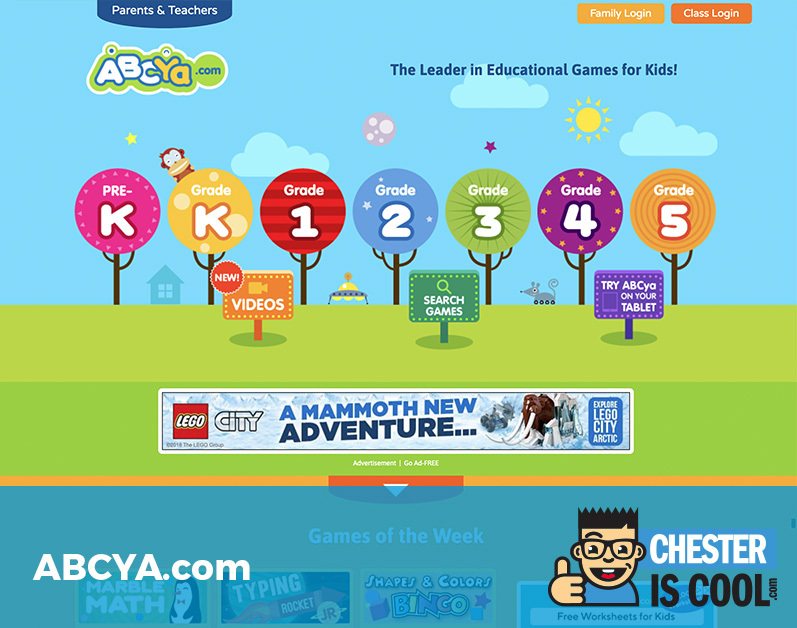 ABCYA.com provides free educational kids computer games and activities for elementary students to learn on the web. 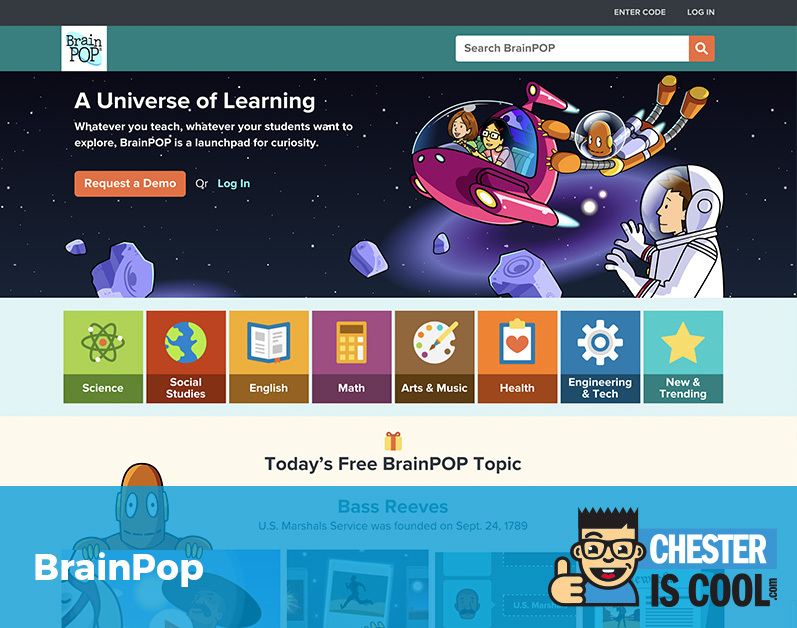 BrainPOP® creates animated, curricular content that engages students, supports educators, and bolsters achievement. BrainPOP® Jr. creates animated, curricular content for grades 2-3. Highlights for Kids – A magazine kid for kids that provides matching games, art activities, animated stories, and science experiments. i-Ready Diagnostic & Instruction is a valid and reliable growth measure for grades K-12 that individualizes instruction. IXL Learning – An American educational technology company based in San Mateo, California. The company’s main product is IXL.com, a website primarily offering educational practice for K-12 students. 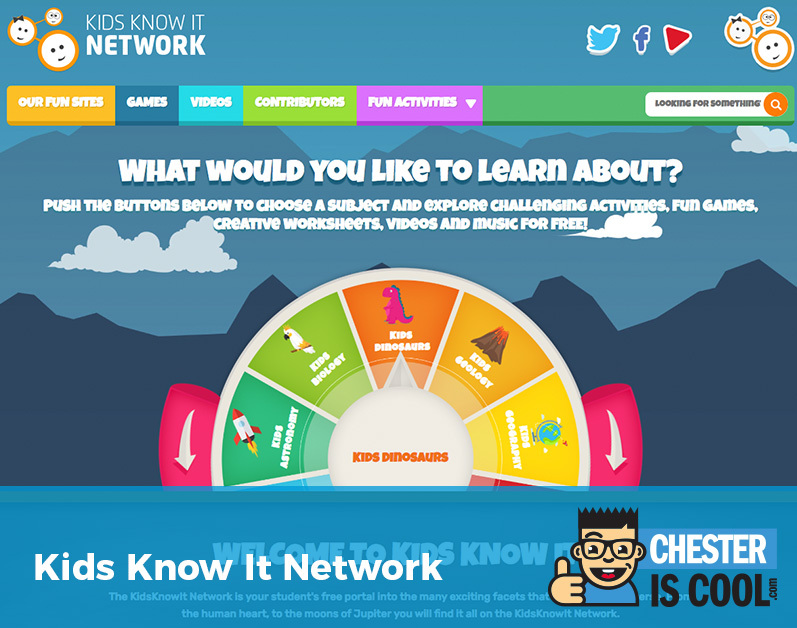 Kids Know it Network – a free portal into the many exciting facets that make up our Universe. The Kidz Page – Explore free printable & online kids games, activities, puzzles, clip art, coloring pages, and online coloring. Learning Games for Kids – Games that teach a variety of subjects for kids. Make Me Genius – Science Lessons in Animation Cartoon videos. The Old Farmer’s Almanac – A blend of wacky facts, quirky stories, and fun activities presented in a colorful style makes reading and learning fun and includes “green” pages, featuring energy alternatives and other topics; craft and science projects; and articles on weird weather, the history of pizza, and much more.